Dimensions 0.75 by 8 by 9.75 in. An adaptation of Levinthalâs Drugs, Behavior andÂ Modern SocietyÂ this successful, widely-regarded, highly readable and pedagogy-oriented textbook on drug use and abuse is now oriented toward a psychological/sociological perspective, with particular attention to issues related to criminal justice. About: For courses in Drugs and Crime, Drugs and Criminal Justice, Drugs and Society, and The Sociology of Substance Abuse Drugs, Society, and Criminal Justice is a highly readable introduction to the major facts and issues concerning criminal justice and drug-taking behavior in America today. 3 edition from Prentice Hall (January 30, 2011); titled "Drugs, Society and Criminal Justice"
About: Unique in approach, DRUGS, SOCIETY AND CRIMINAL JUSTICE, 3/e examines drug use, drug misuse, and drug abuse from a criminal justice perspective. 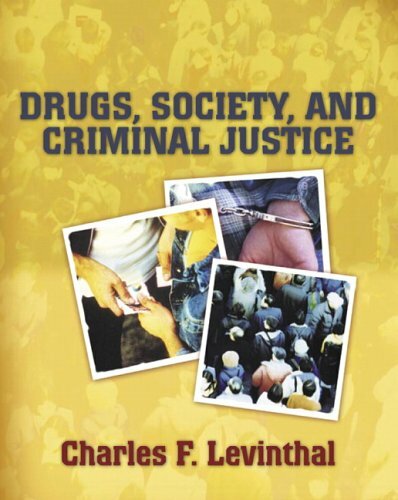 About: An adaptation of Levinthal’s Drugs, Behavior and Modern Society 5e, the second edition of this successful, widely-regarded, highly readable and pedagogy-oriented textbook on drug use and abuse is oriented toward a sociological/psychological perspective, with particular attention to issues related to drug-related crime and the criminal justice system. About: An adaptation of Levinthal’s Drugs, Behavior and Modern Society this successful, widely-regarded, highly readable and pedagogy-oriented textbook on drug use and abuse is now oriented toward a psychological/sociological perspective, with particular attention to issues related to criminal justice.